Over the weekend, I visited San Francisco’s Moscone Center—home of Macworld Expo every January—to check out the annual AES Convention, put on by the Audio Engineering Society. Think of it as Macworld Expo for the music and audio industry. • Audio-Technica AT2020 USB: Already available, this internally shock-mounted microphone is the USB version of the company’s popular AT2020 cardioid condenser mic, and is aimed at the podcast and amateur-recording markets. The AT2020 USB’s MSRP is $249, but can be found at street prices of around $150. • Blue Microphones: Although Blue wasn’t demonstrating any new products at the show, the company told me about three new products that are on the way—hopefully to be released in the next month or so. The first is new USB Webcam, the Eyeball, that mates a microphone similar to the one in Blue’s portable Snowflake with a 2-Megapixel, auto-focus camera. Like the Snowflake, the microphone collapses into the dual-purpose stand/case; the camera retracts into the body of the microphone. The second product is the Mikey, a dock-connector microphone for all recording-capable iPods. The directional mic features stereo recording, variable gain control, and overload protection. Finally, Blue will be releasing a USB microphone interface, the Icicle, that lets you connect XLR mics to your computer via USB. The Icicle provides 48V of phantom power for condenser microphones and includes automatic gain control. 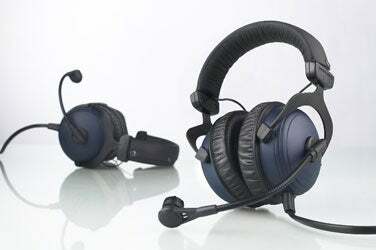 • Beyerdynamic DT-790 and DT-797: Available soon, these new computer headsets focus on microphone quality for podcasting, chat, and gaming. 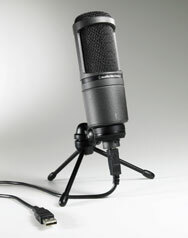 The DT-790 uses a dynamic mic, while the DT-797 uses a condenser version. • Beyerdynamic Manufaktur: Beyerdynamic also announced the U.S. debut of a service that lets you create personalized versions of the company’s acclaimed DT 990, DT 880, or DT 770 full-size headphones. 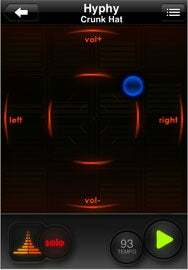 On the technical side, you can choose the impedance of the headphones as well as the type of cable—straight or coiled. On the aesthetic front, you can choose the type of ear pads (velour, leather, or “leatherette”) and the color and finish of various hardware pieces. You can also personalize the headphones with up to two lines of text.